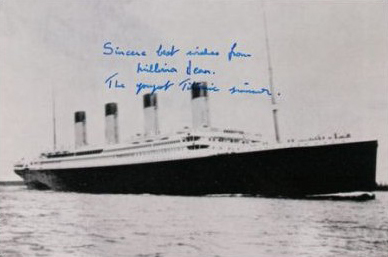 Today is the 100th anniversary of the loss of RMS Titanic (2:20am 15th April 1912). Of the 2,224 people on board, 1,514 perished and 710 survived - including the last remaining survivor and youngest passenger on board the ship, Millvina Dean. 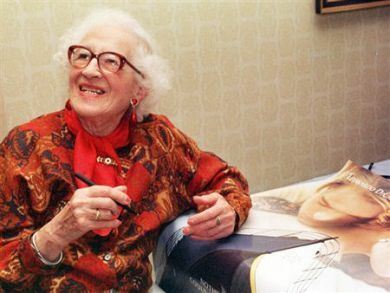 Elizabeth Gladys Millvina Dean (2 February 1912 – 31 May 2009) was the last remaining survivor of the sinking of the RMS Titanic, which occurred on 15 April 1912. At nine weeks old, she was also the youngest passenger on board the ship. 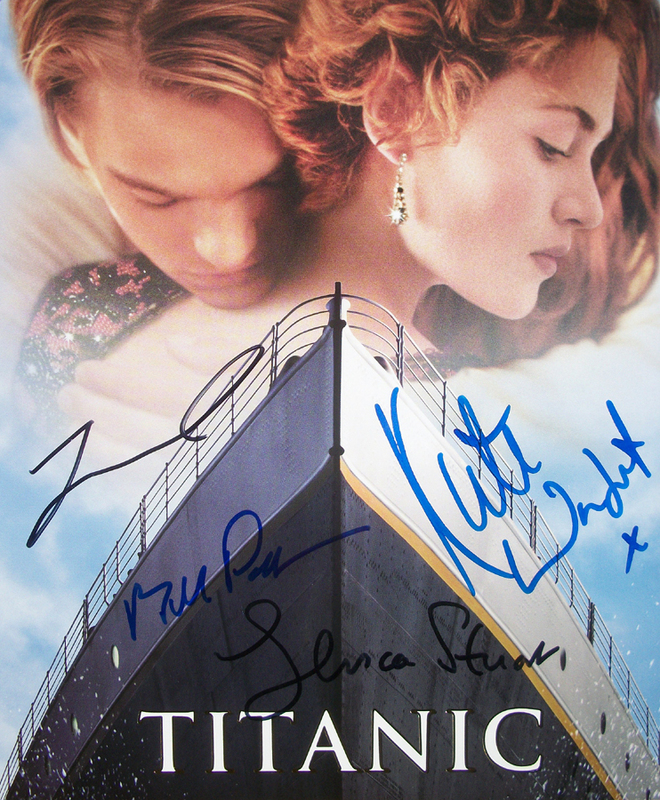 Kate Winslet, Leonardo DiCaprio, Bill Paxton & Gloria Stuart signed photograph 10x8" from the film 'Titanic'. Gloria Stuart (1910 – 2010) played the elderly Rose Dawson Calvert in an Academy Award-nominated role in the film Titanic.